I am moved by holistic wellbeing and enjoy guiding people into becoming wellbeing agents and triathlon enthusiasts. Through my unique take on health as a practical, fun and essential path towards happiness, I crave improving Mexico´s health statistics one person at a time. My ability to communicate how mindfulness, vulnerability and a healthy lifestyle can lead to a joyful life has inspired many of my athletes. I am a certified USAT Triathlon Coach. I am a Functional Medicine Practioner. I have a Masters in Nutrition and Dietetics with Sports (Registered Dietitian). I am a Hollistic Certified Health Coach and a Psychology of Eating Certified Specialist. I have a AADP American Drugless Practitioner Certificacion. I am ranked in the Top 5 Nationally in Mexico and 38th worldwide. 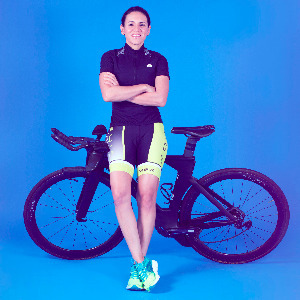 Head Coach and Founder of Performers a Triathlon and Running team based in Mexico City. I represented Mexico at the last four triathlon world championships and got a pass to the 70.3 Ironman WorldChampionship on Moolooba 2016. - I accept athletes that will be constant and serious about their training in order to achieve progress. Success. Coach Claudia Zaragoza has been notified of your message.